Find out more about Birmingham and Solihull sustainability and transformation partnership (STP) including details of its population size, constituent organisations and priorities. Developing joined up care out of hospitals. 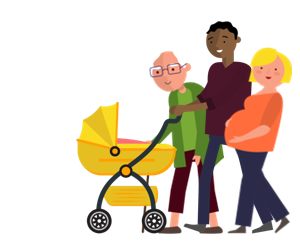 The partnership aims to deliver improved access to local services for everyone when their need is urgent, and more supportive and consistent care for those who need more support including social care. Closer working between hospitals to develop a joined up system of hospital services through Birmingham and Solihull, improving efficiency and delivering better outcomes. Establishing a Maternity, Children and Young People programme to focus upon issues faced by children within Birmingham and Solihull. Giving those with mental health services the same priority as other areas. Improving the health and wellbeing of the population by working with local partners, particularly focussing on employment, education, housing and work. Working together on key enablers that will help the partnership deliver better health and care, for example new payments and measures of success as well as joint workforce developments and digitalisation. The following organisations are part of Birmingham and Solihull STP. For individual contact details for these organisations, please see the NHS website.